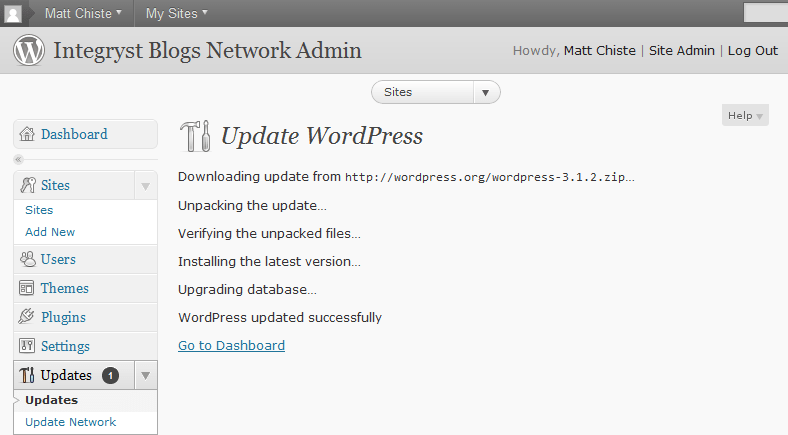 How to update WordPress – The simple way. You are here: Home / tips / How to update Wordpress – The simple way. 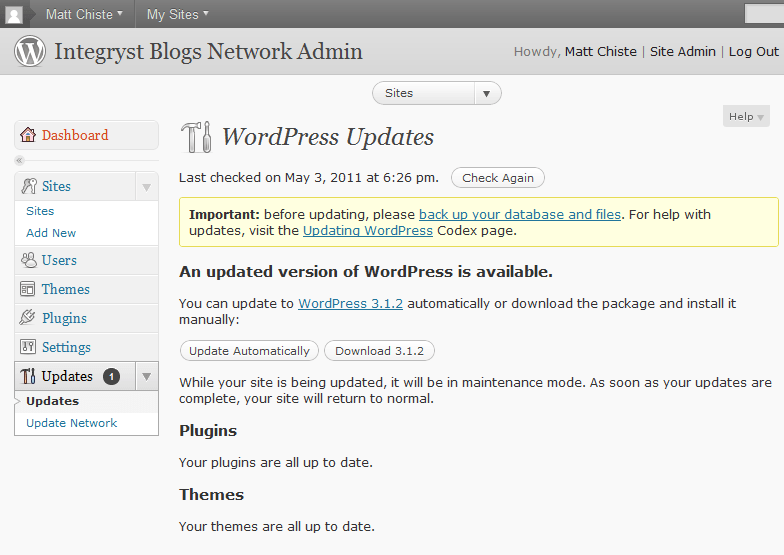 You can update your wordpress to the latest version easily directly from your wordpress admin area. When a newer version is available, you will able to see a notification from WP admin page. Before you perform any update, I strongly recommend you to make a backup of your wordpress. When you are ready, click Please update now to proceed with the upgrade. Within minutes (sometimes in seconds), your WordPress will be successfully upgraded. This features are only available to version 2.7.x and above. Enjoy ! Webhost like Bluehost, Hostmonster and JustHost has the feature to auto install wordpress with just 1 click. Try them.